What does SEO stand for? What does SEO mean? The term SEO is an acronym or abbreviation which means Search Engine Optimization. Search Engines include companies such as Yahoo, Bing, and most importantly Google. Optimization refers to the work of improving the usefulness and relevancy of your content so that search engines will find it valuable. SEO is a set of strategies to increase your website’s rankings on Search Engine Result Pages (SERPs) which in turn increases visitor traffic to your website. Since search engines are always on a quest to provide the best results for their customers, SEO is the means of making sure your website gets noticed. The ultimate goal of nearly every website is to be visible to their target markets. Higher rankings in the search engines provide this visibility to attract those people doing the searching, also called 'traffic'. More traffic leads to more clicks to your website which leads to more interest in whatever you are offering. An increase in your website rankings is the first goal of SEO. Moving your website from page 5 of the search results to page 1 is like moving your business from a side street to Main street. What is search engine market share? There are many search engines around the world, each with its own number of regular users. People in Canada use one of 4 search engines shown at right. 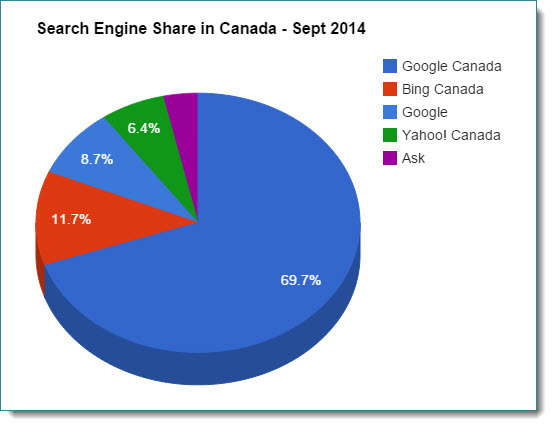 Google.ca has a majority of this search share with 66% (Sept 2014). Google.com provides an additional 8% for a combined total of 74% share. Bing, the next largest, is a distant 11%. Yahoo is losing to Bing with now only 6%, and Ask is hanging onto 3%. The importance of SEO share is knowing which search engines provide us with the best data when developing SEO strategies. Also known as PPC, search engines allow businesses to buy advertising space on their search result pages. They offer this space through a bidding system. Businesses and individuals can assign limits to how much they are willing to spend on an ad for a given keyword phrase. If this keyword is being searched, and the bid is still within their price limits, the ad is displayed. If the person who is searching clicks on this ad, the business is charged the fee for that ad space. For example: If a person is searching for ‘Toronto Dental’, the search engines compare this to the keywords advertiser’s are willing to pay for. 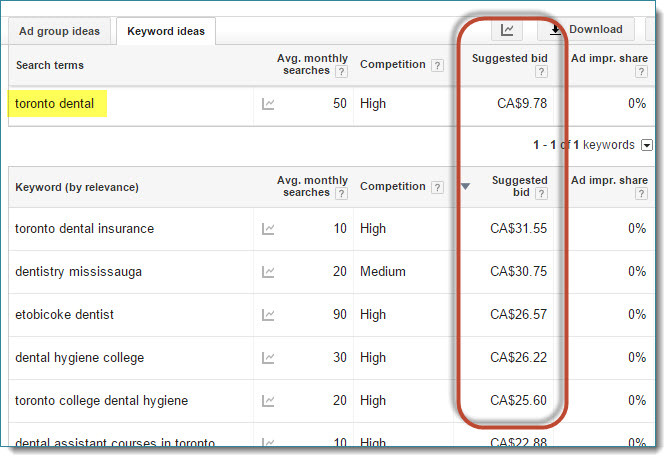 In this example, search engines may have dentists willing to buy advertising space for any keywords related to both ‘dental’ and the city of ‘Toronto’. If so, their ads are displayed in the search results along with natural non-paid search results. What is the cost of PPC? The cost of displaying a pay per click ad depends on competition for a particular keyword you are targeting within the geographic market you are targeting. If several dental offices are targeting ‘Toronto Dental’ then the cost of this keyword could be bid quite high. Each time a visitor clicks on an ad, the business who bids highest, will be charged. These charges can range from a few cents to more than a hundred dollars, depending on how much advertisers are willing to spend. In the sample screenshot below, ‘Toronto Dental’ is $9.78 per click. As you can see, ‘Toronto Dental Insurance’ is much higher at $31.55 per click as of this screenshot. If someone typed ‘Toronto Dentist’ into Google instead of ‘Toronto Dental’, the cost of this ad would be slightly higher, even though they are related keywords. If the business, in this case a dental office, was willing to only go as high as $11 per ad, then they would not appear in these search results because the bid is $12.21 as of this screenshot. If the bidding for this keyword drops to below $11 in the future, their ad would start appearing in the ad space. The bids on some common keywords are very expensive. For instance, ‘auto insurance’ in the USA is very costly for the advertisers each time a person clicks on their ad. In this case ‘auto auto insurance’ is the highest. Not sure why the word ‘auto’ is used twice, but people must insert it twice in their searches. Looking for a search engine optimization in Toronto? Deciding on a SEO company can be a daunting task with so many optimization options to consider. Before signing up with any SEO service, do a little research to find out what you are really buying. We speak to businesses who have paid for SEO services, sometimes for years, and much of this money has been wasted. How do we know? 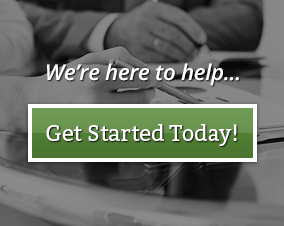 Give us a call and we can easily show you effective search engine optimization. There are numerous SEO services to consider. Some are critical for success, some are helpful improvements, and some may not be needed for your particular website. SEO Assessment - A complete SEO appraisal of your website ensures an effective SEO strategy is obtainable. Without it, you are just guessing at what needs to be done and where to do it. Keyword Discovery - Find keywords to use throughout your website to attract the most search traffic and win against other sites competing with these same words. Coding - Improve coding techniques to make it easier for search engines to make sense of your website’s structure and content. Content - Add content that is relevant and up-to-date for people visiting your website. 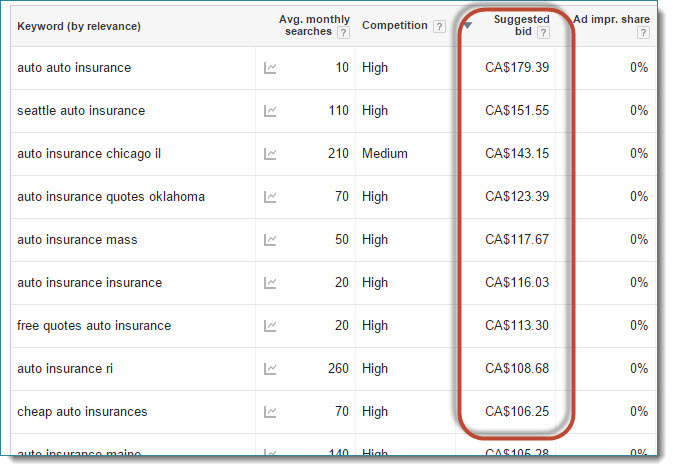 Integrate winnable keyword phrases to capturing traffic through the search engines. Links - Find ways to increase the number of links to your website. Improve the wording of both internal links and surrounding text. Word Counts - Google will value webpages with a reasonable amount of content to give a person who is searching, something to read. Having at least 250 words is a good target. Blog posts with 350 words are preferred. Unique Wording - Avoid use of duplicate wording inside text areas, tags, titles, etc. Duplication dilutes both items so that Google doesn't know which is best to use. Tags - Information tags are used throughout a website to add context to items such as photos, since a search engine cannot yet interpret what a photo is illustrating, unless you tell it. Navigation - Improve your navigation by categorizing your content and using keyword page names that help search engines decipher what you will be writing about. Site Map - These are used primarily by search engines to quickly categorize your page names and get an understanding of your website structure. Monitor Results - This requires a tool such as Google Analytics be setup for your website so you can monitor the success of your efforts and tweak your SEO strategies.